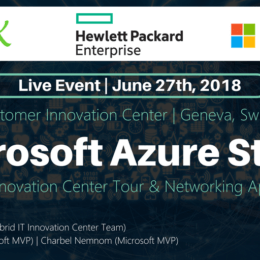 Together with HPE, I did some short videos about HPE Azure Stack and the HPE Azure Stack Innovation Center in Geneva. The videos are very short to just give you a quick idea about the different scenarios and the benefits of the Innovation Center as well as the HPE solutions. If you want to know more about it, you can check out my blog and look for my articles on Azure Stack and Azure. 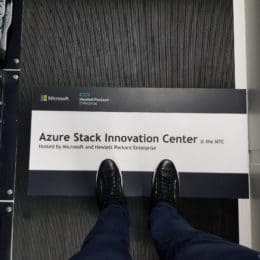 To help you get started on your journey with Microsoft Azure Stack, HPE and Microsoft have built Azure Stack Innovation Centers. 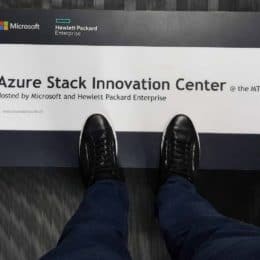 Staffed by HPE and Microsoft experts, and leveraging the latest industry-leading Azure Stack hardware and software solutions, the Azure Stack Innovation Centers are designed to help simplify and accelerate your hybrid cloud journey. In simple words, the Innovation Centers are a place to try out Azure Stack multi-node systems, do proof of concepts and test your real-world workloads. 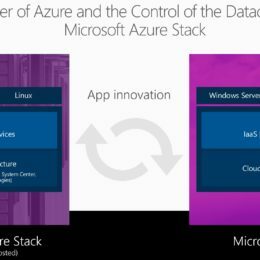 We used the Azure Stack Innovations Centers to work with customers, to try out their workloads directly on a full multi-node system. 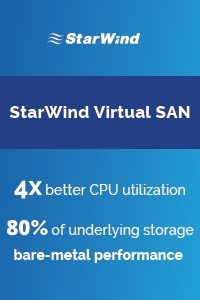 This helps to better understand the benefits and challenges for the specific customer workloads and get some hands-on experience. It is also a great possibility to test out the Azure Stack Operator capabilities and tasks. Thomas Maurer talks about how the HPE Microsoft Azure Innovation Center helps partners and customers on Azure Stack Implementation projects! Today, I got some great news, which I missed in the last couple of weeks. HPE announced that their HPE OneView for Microsoft Azure Log Analytics 1.0 Preview, or short OV4ALA, is now available. OV4ALA is a integration that provides a bridge between HPE hardware infrastructure and Azure Log Analytics. This basically allows you to extend your HPE hardware monitoring to the Microsoft Cloud. Every item in the dashboard provides a link to the underlying Log Analytics search query, which allows you to create powerful and detailed custom searches for long term event correlation and trend analysis. Searches can also be combined with data from non-HPE sources, such as OS, VM, and application information. A set of pre-defined saved searches is included to help navigate the HPE log records generated by the solution. 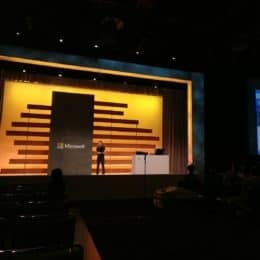 It also includes Azure Automation runbooks that drive the automatic generation of log records from information collected from on-premise instances of HPE OneView and HPE Synergy, leveraging the Azure Hybrid Runbook Worker. This solution requires an on-premises component (HPE PowerShell Module for Log Analytics) that must be properly installed and configured where HPE OneView and HPE Synergy are located. This module acts as a proxy between the on-premises instances of HPE OneView and HPE Synergy and Azure Log Analytics running in the Azure public cloud. This solution is being released as a Technical Preview, and HPE does not provide any formal customer support for HPE OneView for Microsoft Azure Log Analytics at this time. 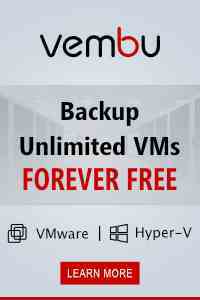 This preview is provided “as-is” and is excluded from service level agreements and limited warranty. The customer assumes all risks in using this preview version. Features available in the preview are subject to change, including removal, prior to the general availability release. 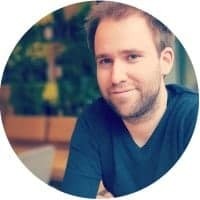 The fully supported generally available version is planned for later this year. 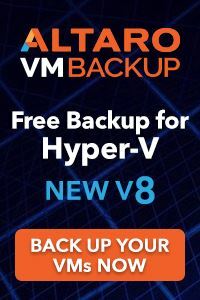 This is great news, especially when you run an HPE Azure Stack solution, which also comes with OneView. With the Azure Stack OMS Solutions you can send alerts and warnings from the Azure Stack software to Azure Log Analytics. Now with the HPE OneView for Microsoft Azure Log Analytics solution, you can also forward the HPE hardware monitoring of Azure Stack to Azure Log Analytics, which will make it a central place for your Azure Stack monitoring. Check out more information about OV4ALA on the HPE blog. Thanks for Roland Frehner from HPE for the link. When I had the chance to speak about our Azure Stack project together with HIAG Data at HPE Discover 2017 in Madrid last year, I also had the chance to record a short video. In that video I am speaking about how HIAG Data and itnetX enable Hybrid Cloud with HPE and Microsoft Azure Stack. One of the most common questions I get when a customer decided to buy Azure Stack is, how you can calculate the sizing of your Azure Stack. He also wants to know how larger the server should be for his workloads and which Azure Stack Hardware SKU he should go for. Microsoft just released the Azure Stack Capacity Calculator (Version 1801.01). This tool will assists customers in the pre-purchase capacity planning of the Azure Stack hardware configuration. This helps you decided on how large your Azure Stack solution should be configured. This sizes server configuration and amount of servers you need to run your workloads on a Azure Stack integrated system. This also helps you in your Azure Stack Pricing Calculation. 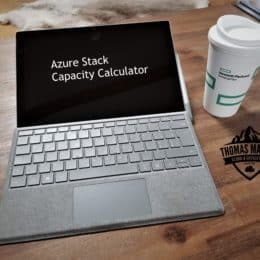 The Azure Stack capacity planner is intended to assist in pre-purchase planning to determine appropriate capacity and configuration of Azure Stack hardware solutions. The Azure Stack capacity planner helps you make informed decisions with respect to planning capacity in two ways: either the by selecting a hardware offering and attempting to fit a combination of resources or by defining the workload that Azure Stack is intended to run to view the available hardware SKUs that can support it. Finally, the spreadsheet is intended as a guide to help in making decisions related to Azure Stack planning and configuration. The spreadsheet is not intended to serve as a substitute for your own investigation and analysis. Microsoft makes no representations or warranties, express or implied, with respect to the information provided within the spreadsheet. You can download the Azure Stack Capacity Planner from the TechNet Gallery. 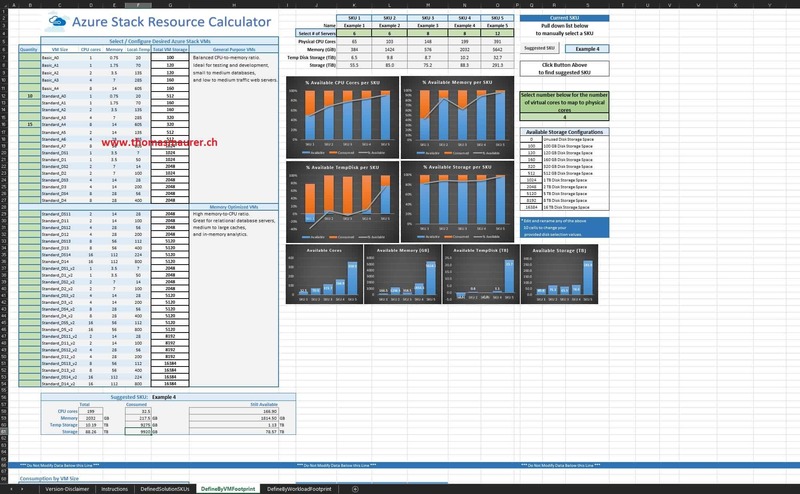 It is a simple to use Microsoft Excel file, where you enter your workload data. I will out put some information about the configuration you need and even allows you to compare different hardware SKUs. It will also indicate which one will be the best solution for you.